Combine powdered sugar, peanut butter and milk in a medium mixing bowl and beat with an electric hand mixer on low-to-medium speed until all ingredients are combined. Add a generous pinch of salt, if desired, to really play up the peanut butter flavor. Continue mixing at medium speed 1-2 minutes more, until mixture is smooth and desired texture is achieved. 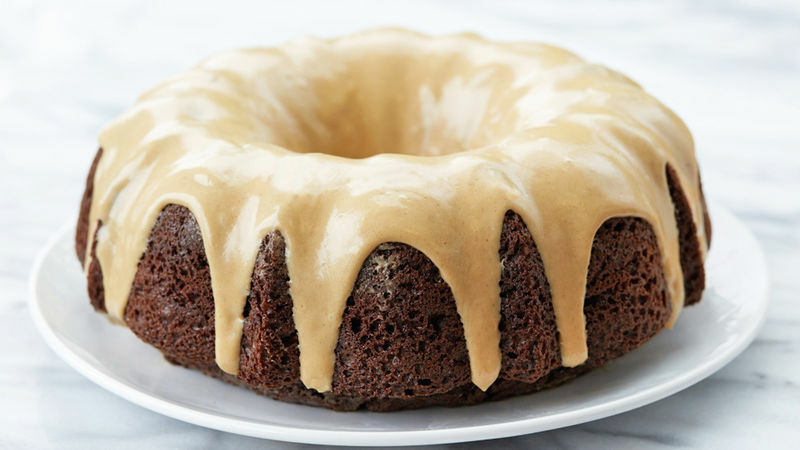 We’re willing to bet that everything you need to make this peanut butter glaze is already in your kitchen. Peanut butter just so happens to pair perfectly with rich chocolate desserts so it only made sense that we found a way to drizzle it over our favorite desserts! Bundt cakes, brownies, chocolate cake, even muffins—the options are infinite, delicious and so worth it. Now if you’re looking for a creamier option for your dessert topping, frosting is your best bet. Frosting is thicker, thanks to more powdered sugar and less milk while glaze has a thinner consistency, perfect for drizzling. Try this peanut butter frosting recipe if you’re after something creamier to top off your cake or cupcakes.